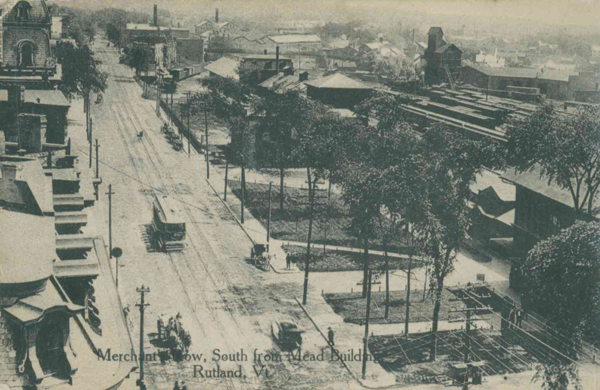 At the opening of the twentieth century, when a nickel plater named Edgar Wood had risen in society to become an attorney, Rutland was on the verge of complete electrification and bustling with industry. 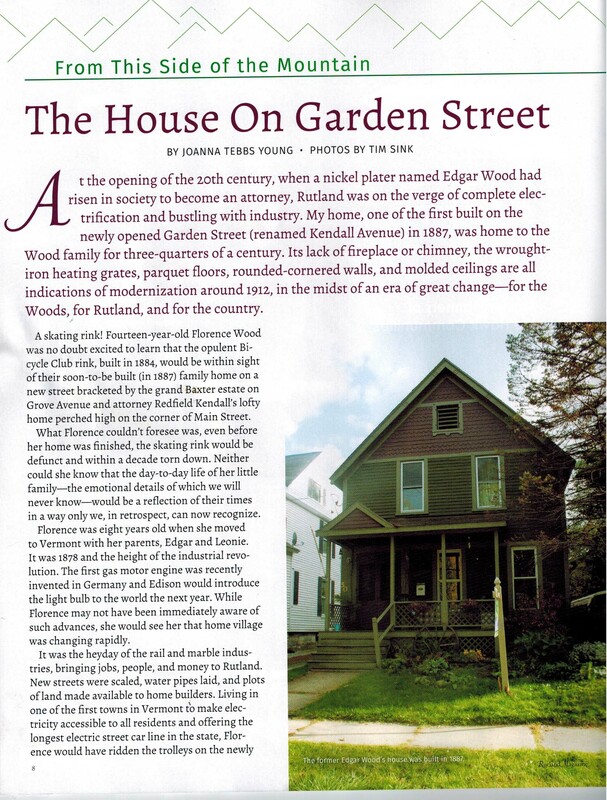 My home, one of the first built on the newly opened Garden Street (renamed Kendall Avenue) in 1887, was home to the Wood family for three-quarters of a century. 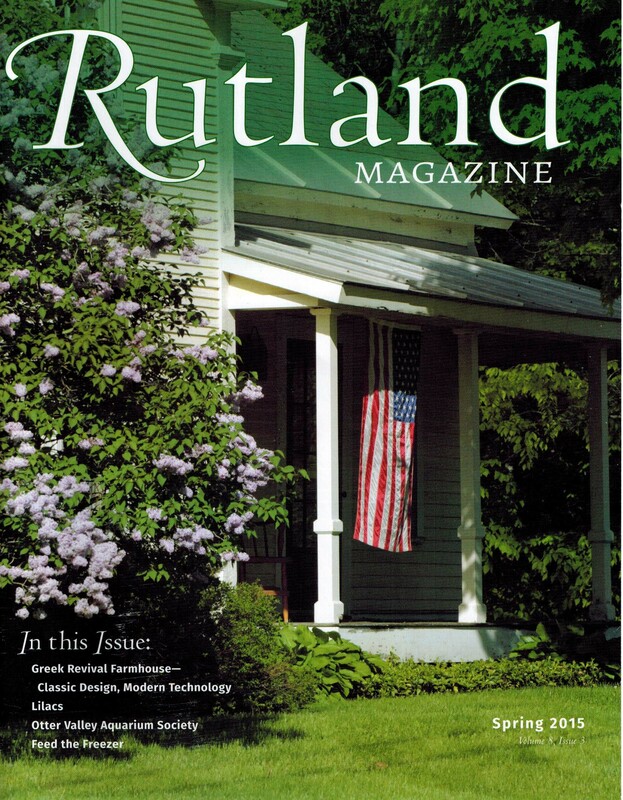 Its lack of fireplace or chimney, the wrought-iron heating grates, parquet floors, rounded-cornered walls, and molded ceilings are all indications of modernization around 1912, in the midst of an era of great change—for the Woods, for Rutland, and for the country. A skating rink?! 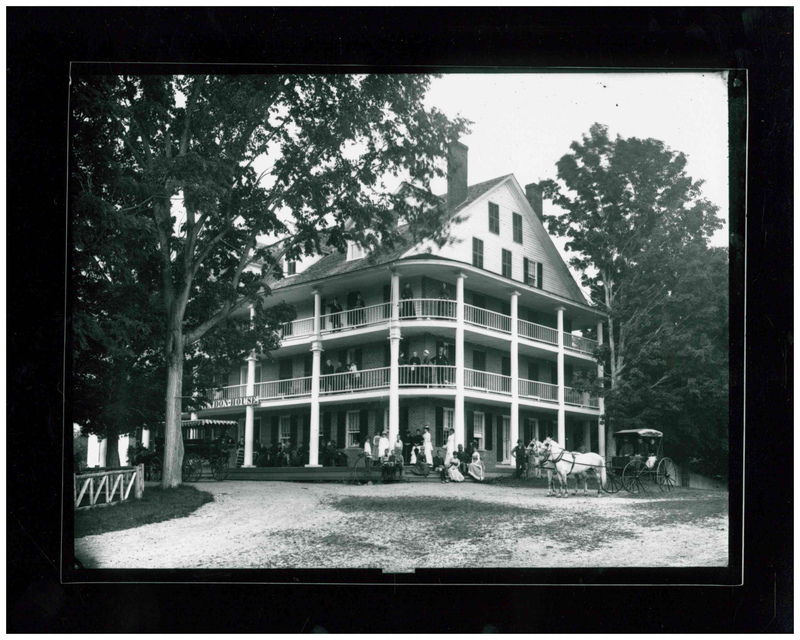 Fourteen year old Florence Wood was no doubt excited to learn that the opulent Bicycle Club rink, built in 1884, would be within sight of their soon-to-be built family home on a new street bracketed by the grand Baxter estate on Grove Avenue and attorney Redfield Kendall’s lofty home perched high on the corner of Main Street. The fountain behind Trak-In which was once an attraction at Bomoseen Park. Part 2 of two stories on the Rutland Trolley. See Part 1 here. Emerging from the greenery which threatens to envelope it, it looks like a beehive, one of those conical ones that Pooh Bear would get excited about. But it is actually a fountain, and it sits behind the Trak-In Restaurant on Route 30 in Bomoseen. 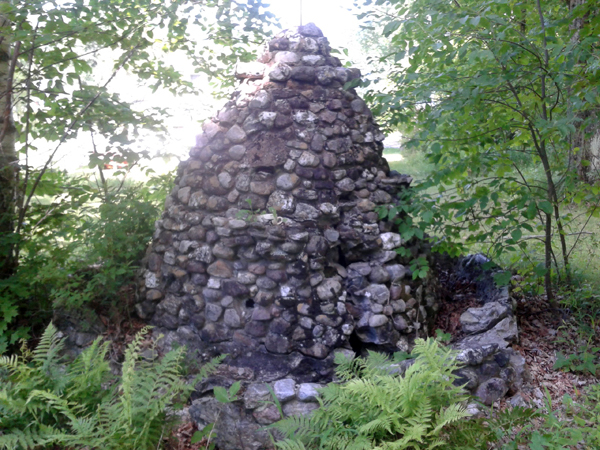 A century ago, this rock formation with its metal water spout was a novelty, which, along with other attractions, drew large crowds to Bomoseen Park. Part 1 of two stories on the Rutland Trolley. See Part 2 here. 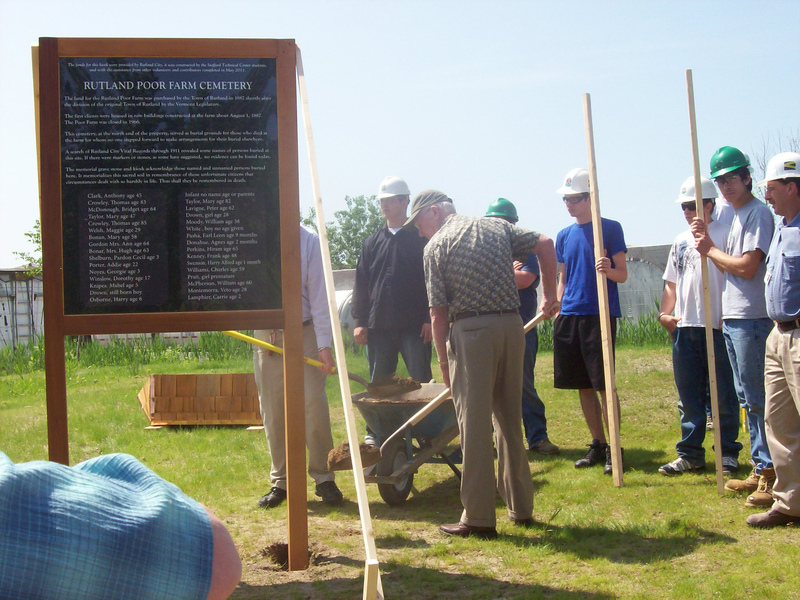 When the street was dug up in front of Green Mountain Power’s new Energy Innovation Center on Merchants Row in the fall of 2013, the workers hit steel. Hiding just below the asphalt on which we daily drive our (one- or two-person, gas-guzzling, road-hogging) cars, they had discovered tracks to another time: The Trolley Era. Asa Smith, “the strange mystic of Clarendon,” had a vision of “chalybeate water impregnated with lime” that would lead him in 1776 to discover the springs in the western part of town that would cure his “scrofulous humor” (cancer). Some Rutlanders today still remember the women who washed laundry. 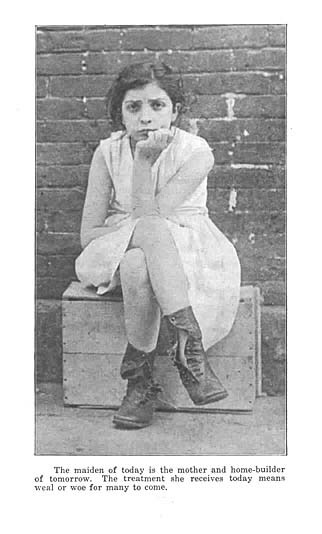 One remembers going with her grandfather to drop it off and pick it up. Someone else remembered their large vegetable garden, another the candied apples they’d hand out at Halloween. Still others recall eating meals served by the women and singing Christmas Carols alongside them.